Stressed out by the pressures of a fast-paced lifestyle? Reach for the calming nutrition of Swanson GABA. A compound manufactured in the brain from glucose and the amino acid glutamine, GABA (gamma-amino butyric acid) supports the central nervous system's reaction to stressful situations. 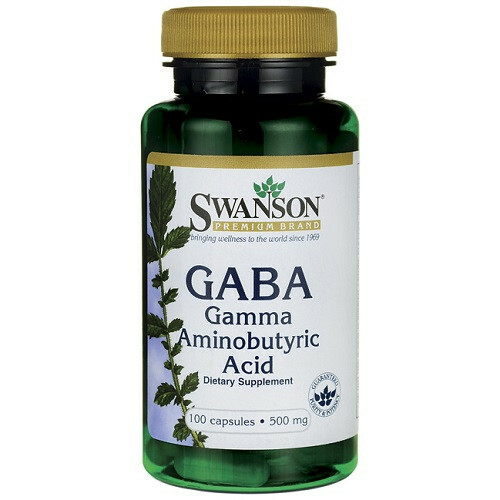 * Check out the GABA reviews listed below to see what other customers thought of this product. Kasutamisjuhend 1 kapsel päevas, soovitavalt mitte koos proteiiniga. parimate pakkumiste ja uusimate uudiste saamiseks! PARIMA HINNA GARANTII Leidsin odavamalt? Küsi meilt! BOONUSPROGRAMM Ostes kogud boonuspunkte, mida saab kasutada juba järgmisel ostul!